Please note that the state requires that all patrons be 21 and older. 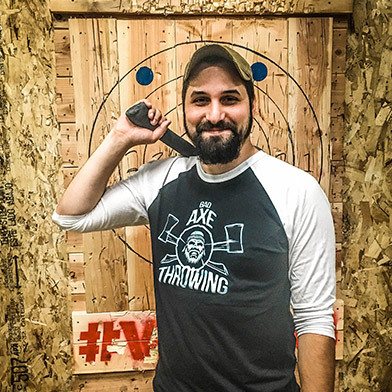 Our aim is to be the top attraction for fun and games in Indianapolis, offering various exciting games as well as a team and individual tournaments. 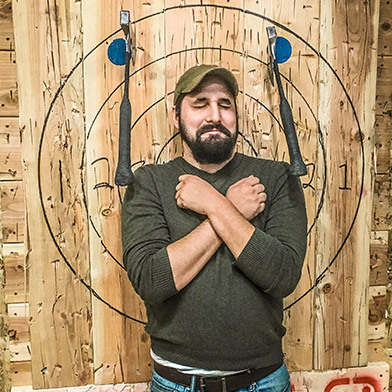 At Bad Axe we offer a unique edge to how adults have fun. 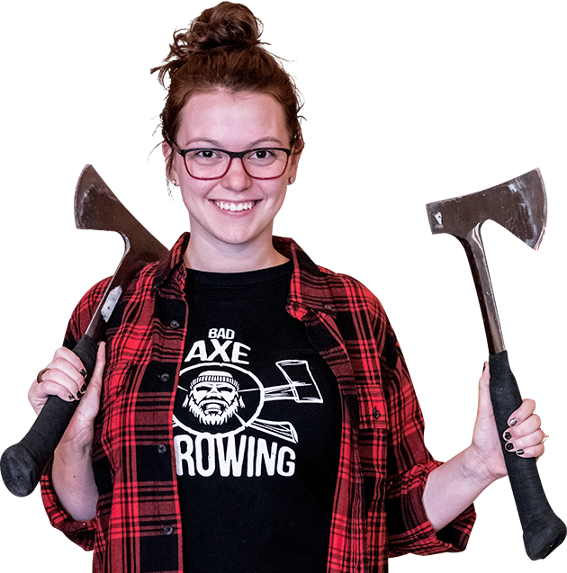 We host large corporate events, birthday parties, bachelor and bachelorette parties, we are perfectly suited for groups that are looking to have an unforgettable time while learning to throw an axe. We are located in the heart of Indianapolis just a few blocks south of Monument Circle, just a three-minute drive off of I-70 from the 79B exit to Madison street. Paid Parking is available right beside our facility, there’s also on street parking available. 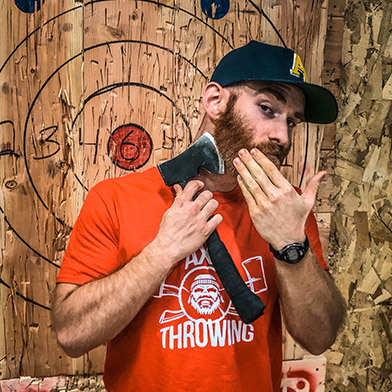 Visit our Indy location and go axe throwing today. 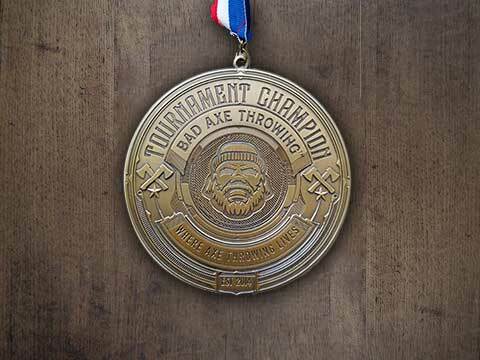 Book your birthday party, bachelor/bachelorette party or corporate event with Bad Axe Throwing. Book Today. 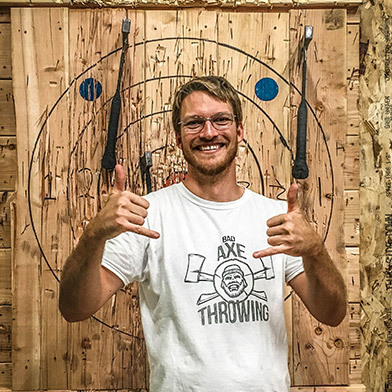 "Bad Axe Throwing is Awesome"
"One of a Kind Activity!" 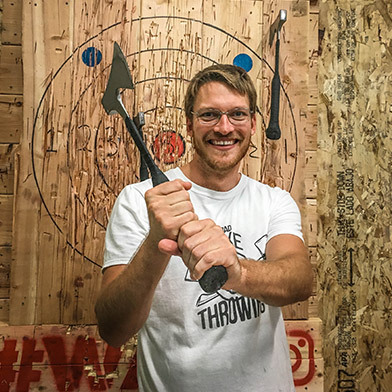 Brought a group from work to throw axes, it was a mixed group of all skill levels. 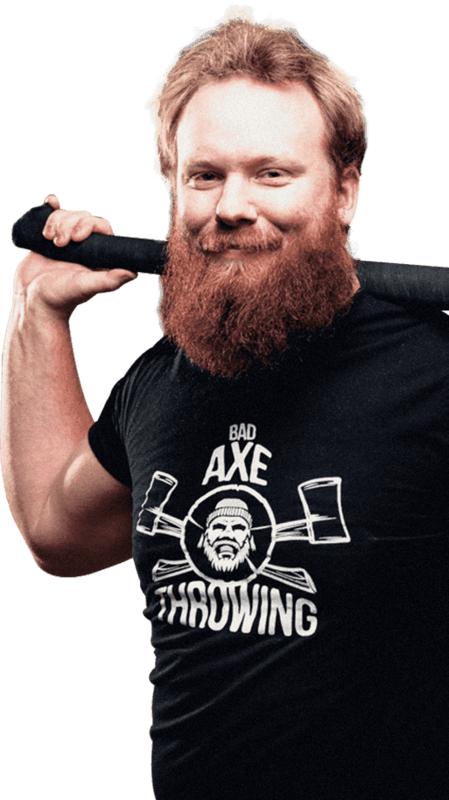 Everyone was able to get axes to "stick" the games we played were sweet. Anyone looking to do something new, check it out!! 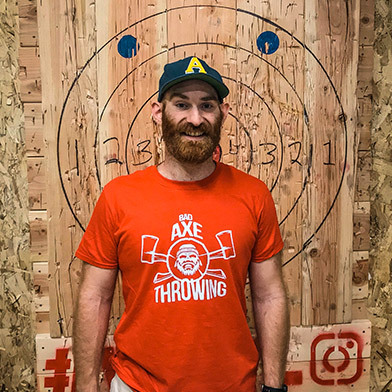 Evan, our throwing coach was great! We brought drinks and snacks with us. We were there for about two hours playing various games and even did a tournament at the end.